Home / Blog / Trying to Survive This Heat With a Faulty AC System Is No Picnic! One of the wonderful things about Central Jersey in the summertime is the abundance of parks and other recreational areas to enjoy. When you combine these beautiful natural resources with the fact that July is National Picnic Month, you have a winning combination. So, your friends at Air Professionals spent some time slip sliding across the area to uncover some of the most ideal picnic locations around. More on that in a minute. First, we’d like to point out something that’s never a picnic—the need for air conditioning installation in Bridgewater and across Central Jersey. 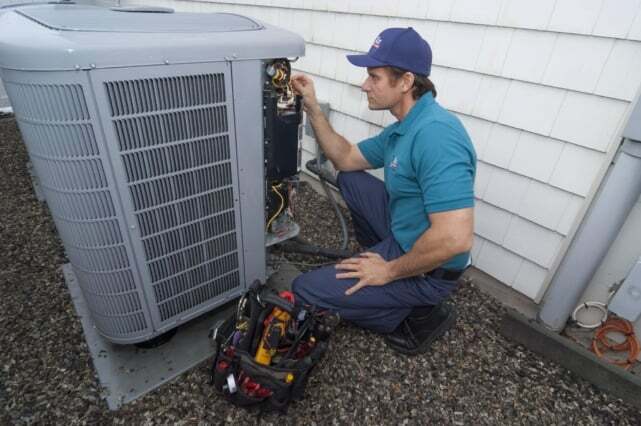 Whether your AC conks out unexpectedly or you’re replacing an old, malfunctioning system before it completely fails you, Air Professionals is the skilled and experienced team you want on your side. We’ve got the coolest techs and the hottest products and services around. Plus, we’ll never try to snow you over with pushy sales tactics or other unacceptable practices. Spruce Run State Park: This 2,012-acre Hunterdon County gem off Van Syckles Road in Clinton features 15 miles of shoreline around the third largest reservoir in the state. It offers great opportunities for fishing, biking, boating, swimming and hunting. Enjoy scenic views, bird watch and check out the wildlife. It includes a playground and wide open spaces to spread out a picnic blanket and relax. Stephen’s State Park: This charming Warren County park features 10.2 miles of short, moderate trails through woods and also several playgrounds. It’s located off Willow Grove Street in Hackettstown, Warren County, and offers hiking, biking, fishing, canoeing, kayaking and picnicking. Jenny Jump State Park: This is another jewel off State Park Road in Great Meadows, Warren County. It includes numerous blazed hiking trails with spectacular views of the surrounding farmlands and nearby Delaware Water Gap. Jenny Jump is unique because it features numerous glacial boulders from a nearby “terminal moraine,” a huge heap of boulders and sand from an advancing ice sheet in the Ice Age. Visitors can enjoy hiking, fishing, camping, hunting and picnicking. The park offers cabins with wood stoves and an astronomy observatory. Voorhees State Park: This park includes numerous trails through forests and past streams and rocks, including one area where rocks are fashioned into armchairs! It’s full of scenic beauty and allows hiking, biking, hunting, camping, fishing and picnicking. It’s located off Route 513 in Glen Gardner, Hunterdon County. Round Valley Reservoir: This park is a great spot for hiking, biking, fishing, swimming and enjoying picnics. There’s also a horse trail. Located off Lebanon Stanton Road in Lebanon, Hunterdon County, Round Valley Reservoir is 3 miles long and 2 miles wide. At 180 feet, it is the deepest body of water in the Garden State and is surrounded by 1,288 acres of recreation land. It includes three marked trails covering 12 miles. Of course, these are just a few of the multitude of perfect picnic spots across this area. We hope you carve out a little chunk of your life to enjoy a picnic (or whatever makes you happy) with the people who matter most in your lives. Meanwhile, your friends at Air Professionals will be here when you need HVAC contractors in Basking Ridge and throughout our service area. To learn more about our AC maintenance, repair, replacement and installation services or to schedule an appointment, call Air Professionals today at 908.238.3732 or contact us on the web.